The days of two-hour train travel from Paris to Bordeaux are fast approaching, as the high-speed train line (LGV) linking the two cities will be inaugurated this afternoon by President François Hollande. 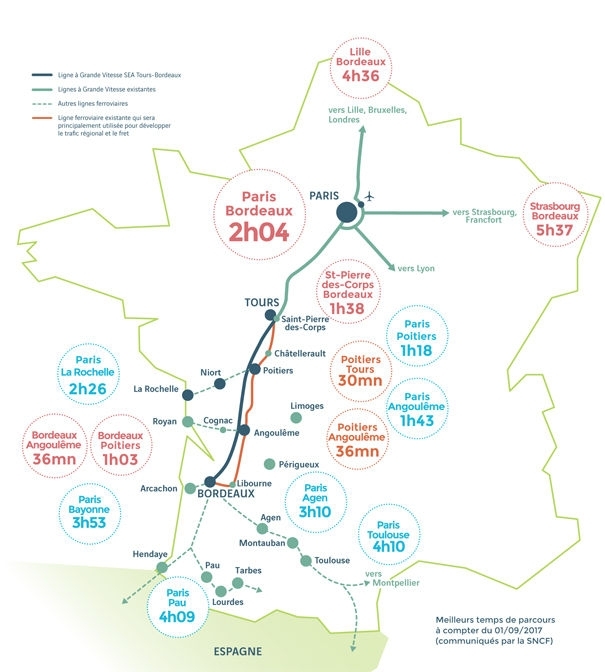 First passengers will not be able to enjoy the 2hr4min journey until July but the formal opening of the LGV SEA (Southern Europe Atlantic) infrastructure is taking place at the logistics base of Villognon, Charente to the north of Angoulême – chosen because it represents the mid-way point of the line. Started in 2011, construction of the last section of the new high-speed line joining Tours-Bordeaux is almost finished, and only testing and driver training remains to be completed. Up to 9,000 people worked to build the 340km of this new line that has been in the planning since the mid-1990s. Some 117 communes have been affected, and 415 engineering structures (ouvrages d’art) such as bridges and supporting walls constructed. 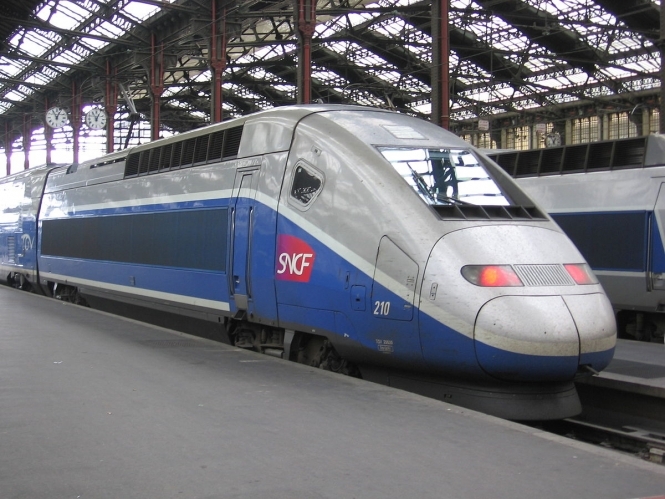 The 50-year concession between Tours and Bordeaux (LGV SEA) was awarded to Lisea (High-speed line South Europe Atlantique) after it won a tender process. It is the first private company in France to manage a high-speed railway infrastructure and this comes after it financed 50% of the cost of the €7.8billion TGV line. Ticket prices will be announced mid-March and the route will welcome its first passengers on July 2.